Remember how I wasn't all that keen on those Spoiled by Wet'n'Wild polishes? Well, that didn't stop me from picking up a bottle of Cougar Attack, about three months back. I really like this polish a lot, though I'm not sure why. It's fine copper glitter in a transparent brown base. 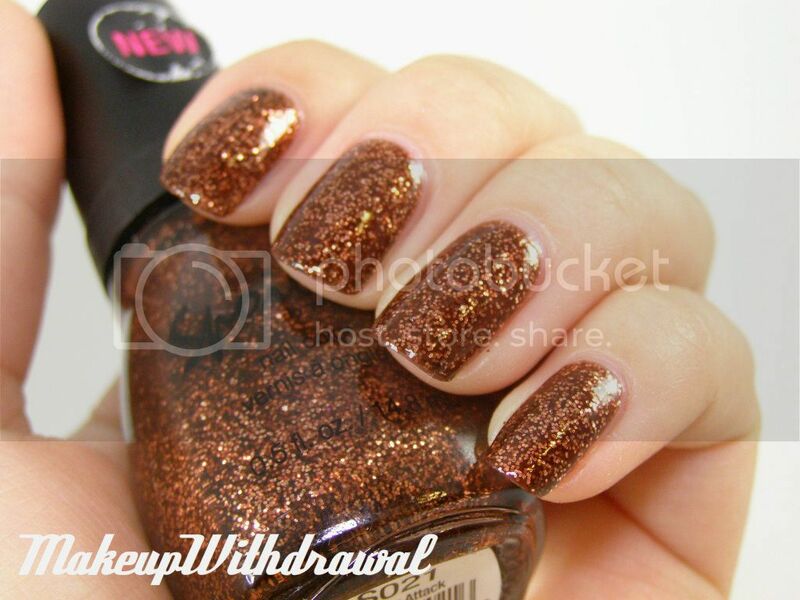 I've heard that it is a dupe for Deborah Lippman's Superstar. I don't really have anything else even remotely close to this polish, can't even think of any other shade in existence that has this sort of brown base. The only thing that I don't like about this polish is that I have a very hard time getting it to look smooth and glossy even with copious amounts of topcoat. It just doesn't like to photograph its shine very well. 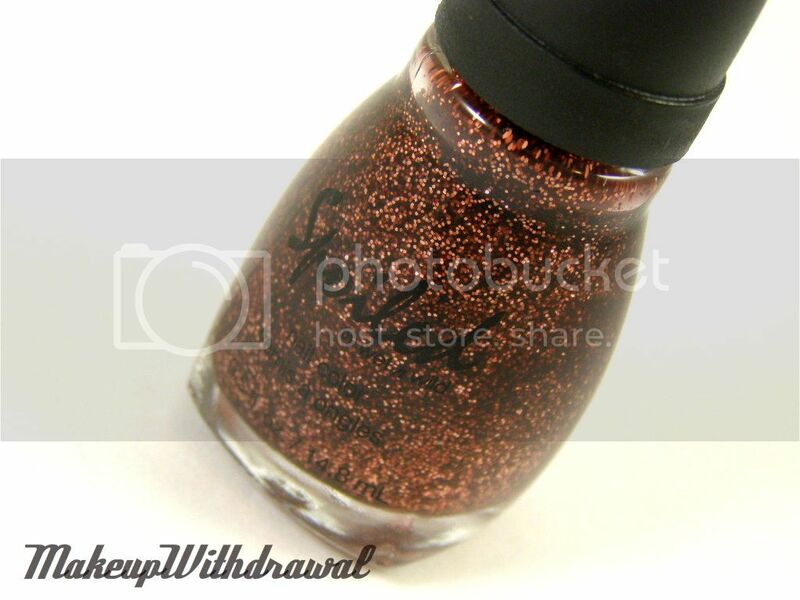 Even though I don't really do seasonal polishes, I think I'll really enjoy wearing this polish in the fall. Do you have any favorites from the Spoiled by Wet'n'Wild line? Which ones should I get next time? Very pretty! Have you tried a top coat of Gelous to smooth it out?